Hofstra Law alumnus Marc L. Hamroff ’83, managing partner, Moritt Hock & Hamroff LLP, will deliver the commencement address and be awarded a Doctor of Laws at Hofstra Law’s Commencement Ceremony. The Honorable A. Gail Prudenti, executive director of the Center for Children, Families and the Law and special advisor to the dean, will also be awarded a Doctor of Laws. Commencement will be held on Monday, May 16, at 7 p.m. at the David S. Mack Sports and Exhibition Complex, Hofstra University. A livestream of the ceremony will be available online. 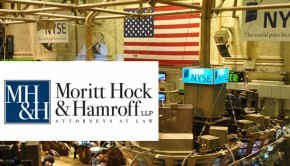 Marc L. Hamroff ’83 serves as the managing partner of Moritt Hock & Hamroff LLP and chairs the firm’s Financial Services Practice, which includes the Bankruptcy, Equipment Leasing, Secured Lending and Creditors’ Rights Groups. He provides special concentration in litigation, workout and bankruptcy matters nationwide. In his capacity as head of the Financial Services Group, he has spearheaded the representation of secured lenders, banks and lessors in a wide range of transactions. He also works closely with the firm’s Litigation Group and actively handles a wide variety of commercial litigation cases, including injunction and attachment proceedings, business divorce/separation cases, and restrictive covenant disputes. In addition, he regularly provides educational and strategic seminars on a multitude of issues affecting the leasing and secured lending community. He is a longstanding member of the board of directors of the American Heart Association’s Long Island Division where he currently serves as chairman. Mr. Hamroff currently serves as a special professor of law and teaches Secured Transactions at Hofstra Law. He is a member of the Dean’s Advisory Board and Business Law Advisory Committee. His firm also established the Moritt Hock & Hamroff fellowship in support of the Hofstra Law Access to Justice Incubator, and also established scholarships for the business law honors concentration. Prior to Commencement, the Class of 2016 Graduates Celebration and Awards Ceremony will take place at 3 p.m. in the John Cranford Adams Playhouse. The program begins with an introduction and welcome by Dean Lane and then speeches by elected 3L Speaker Declan McPherson and elected Teacher of the Year Professor Miriam R. Albert. The ceremony continues with the presentation of various awards that recognize student accomplishments throughout law school, and a speech by Student Bar Association President Justin Worth. The students receiving awards will be notified via email on Friday, May 15. The program will last approximately one hour and a light reception will be served at the Law School immediately following the celebration to which students’ family and friends are welcome. Tickets are not necessary for this event. Please note that students do not wear academic attire to this ceremony. The Commencement Ceremony will take place at 7 p.m. in the David S. Mack Sports and Exhibition Complex. The ceremony will last approximately two hours. Alumnus Marc L. Hamroff ’83, managing partner, Moritt Hock & Hamroff LLP, will deliver the opening remarks. 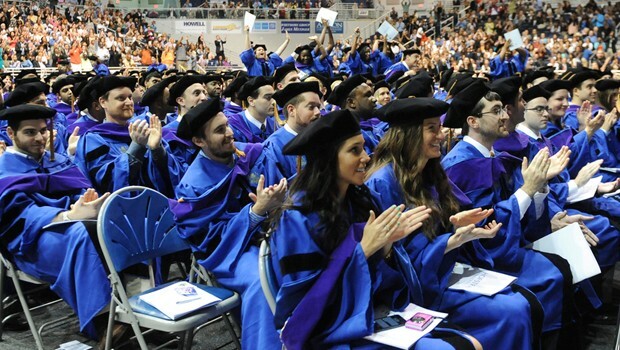 At the Commencement Ceremony, the President of the University will confer the degrees, and students will walk across the stage to be announced by name, hooded and congratulated by Dean Lane. Tickets are not necessary for this event. Instructions regarding robing and assembly will be given to students when they pick up their academic attire. On the day of Commencement, students should line up in the Physical Education Complex at 6 p.m. The Physical Education Complex is located next to the Arena. Family and friends are free to enter the Arena and sit as they wait for the ceremony to begin. As students enter the Physical Education Complex, please stop by the table near the entrance to pick up a yellow index card. This card will have their name on it, as it is to be read when they walk across the stage. Please read the name carefully and make any necessary changes, and add a phonetic spelling of the name if needed. Once the processional lines are formed, students will walk into the Arena, and the ceremony will begin. For more information, visit hofstra.edu/Commencement.